At the beginning of 2018, I created an obscene amount of New Year’s resolutions. As the year came to a close, I only consistently achieved one of my goals—to start a journal. When I looked back on it, starting a journal was the only New Year’s resolution I needed as it helped me have the best year academically and in my creative projects. If you want to produce better papers and projects, get in touch with your emotions, and become your most creative self, all while documenting memories of your college years, the only resolution you need in 2019 is to journal. Anything! The most important thing to remember about journaling is that no one will ever look at it or give it a letter grade. It is one of the only writing outlets that is for you and you alone. However, most people (including myself) need more guidance when considering what to write. The two most common types of journaling are morning goal setting and nighttime reflection. My advice is to switch between these two types as you see fit. When deciding when to journal, I usually go with my mood. If I think I need some extra motivation, I journal in the morning and if not, I journal at nighttime. Sometimes, I even journal in the middle of the day when I need help working out a problem or have writer’s block on a project. For morning goal setting, you can write how you want to feel throughout the day, what you will do to achieve that feeling, and things you are grateful for. This type of journaling sets your intentions for the day and allows you to live in a mindset of gratitude. It also helps you wake up in the morning and gather your thoughts so you are more prepared for the day ahead. Nighttime journaling is usually more free-flowing—describe what happened to you that day, what memories you created, who you spent time with, etc. I remember talking to a senior TA in one of my freshman classes who said memories and funny stories from freshman and sophomore year would have been lost if she hadn’t kept a journal. Reflective journaling can help you remember all the beautiful little things you don’t want to forget; like who you ate lunch with on Mondays or that big paper you got an A on. It is something to look back on for how your days have gone and what you have achieved. What are three challenges in your life right now and what are you learning from them? How is your life different now from a year ago? What do you have now that you wished you had once had? What is the most memorable event from this week? When it comes to journaling, there are no rules. Add art and write in colorful pens or free flow illegibly and with no regard to grammar. The only rule is that when you’re starting out, you have to solidify journaling as a habit. To do this, try to always have your journal in your backpack and make it your mission to journal every day (even if it’s just a sentence) for the first two months after you start your journal. 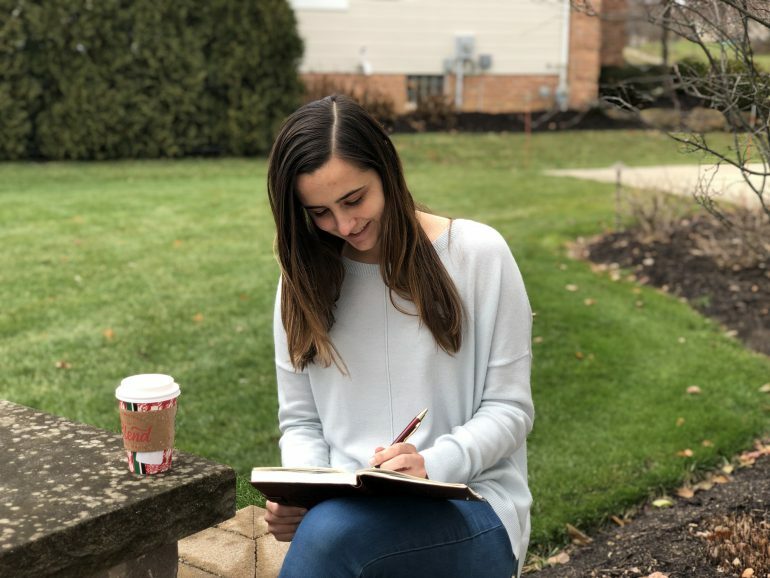 If you can create journaling as a habit, I promise you will have a more introspective, creative, and productive 2019 while also documenting your favorite college memories. So, why aren’t you starting your journal right now? Pearson Students: Do you keep a journal? What do you write about? Share by commenting below! 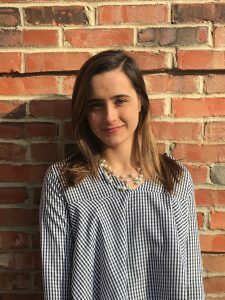 Angela Myers is a sophomore at Elon University pursuing a double major in History and Professional Writing and Rhetoric. At Elon, she’s involved in her sorority, Alpha Xi Delta, and is Vice President of the Elon’s Creative Writing Club. Writing and creative living are her biggest passions in life and she runs a YouTube channel, Author Angela Anne, where she posts videos to help others live happy, healthy, and creative lives. Angela is a contributor to the Pearson Students Blog. If you are a college student and interested in writing for us – click here to pitch your idea and get started!